When I told Barry I was going to make these Jerked Chicken Hoagies, he kept going around saying, “What a jerk!” Yes, I married a comedian. Anyway, we love jerk seasoning in our house. What is it? It’s actually a Jamaican spice. Cooking “jerk style” means that you use a dry rub or a wet marinade for meats – the marinade being a very hot spice mixture. So, what’s in it? Allspice, peppers, cloves, cinnamon, scallions, nutmeg, thyme, garlic, salt, and pepper. It sounds like a weird combination, but it just works……trust me. Sorta like green beans and ketchup. They just go together. 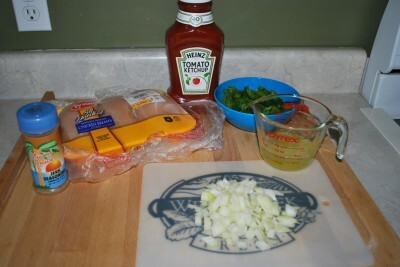 Our ingredient list is very small: jerk seasoning, ketchup, chicken, peppers, onions, and chicken broth. I found my jerk seasoning at Big Lots, but I’m sure it’s found in any store in the baking section with all the other spices. It’s not a spice that you’ll use a lot, but I do like to have it on hand. I have TONS of spices on hand…..I don’t ever want to be caught off guard. Now, some spices I don’t have – because I’d have to sell my birthright to get them (think cardamom and saffron). 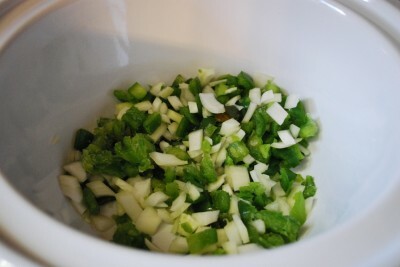 Combine your peppers and onions in the bottom of your crock pot. I used a 4 quart size, but whatever size you have will work. They look so lonely down in there. Now, you need to rub the jerk seasoning on your chicken – front and back. Yes, rub. You have to use your hands here folks. I hate handling raw chicken, but I did it anyway. Then I washed my hands about a million times. Something about raw chicken makes me paranoid. I feel like I need to clean the entire kitchen and take a bath when I’m done. I clean up raw chicken with peroxide and it works great! I love not having all those chemicals around. Lay the chicken on top of the veggies. Pretend the veggies aren’t there. 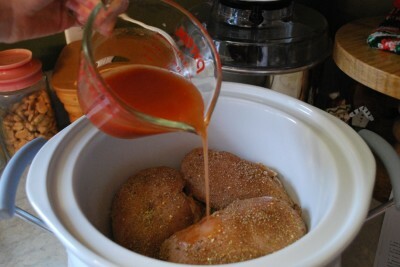 The juice from the chicken is going to give them moisture to cook and they’ll get nice and tender down there. Yum! I love peppers and onions with my chicken. 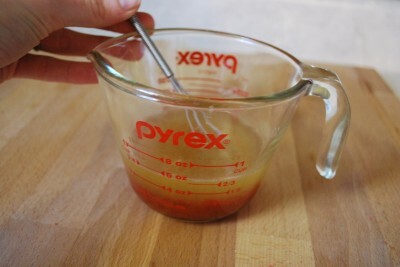 In a small dish, combine your chicken broth and ketchup. I used my small whisk again. I’m telling you, I just love that little thing! A woman and her whisk are not soon parted. Pour your “sauce” over the chicken. It’s going to make it look like the seasoning is coming off……like you’re giving it a bath. Don’t worry! It’s all going to stay in there together and be just fine. That’s why we RUBBED the seasoning on….to help it stick. This recipe cooks for 6-8 hours on low. I had my doubts this chicken was going to get tender enough on low in only 6 hours. BUT I have faith in Pillsbury (where I found this recipe) so I went with it. That hasn’t always worked out (the big failure of Shrimp Pot Pie), but I still continue to have faith in recipes. After 6 hours I decided to check the chicken. I stuck it with my fork and it was done! A miracle! I have such little faith……but I could tell it wasn’t ready to shred yet. So, I put the lid back on and let it finish the two hours. And let me tell you, your house is going to smell like Jamaica man. After 8 hours it’s a little bit more brown, but totally ready to shred. Yum! 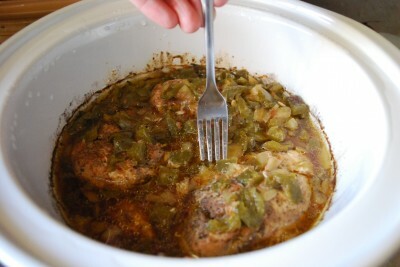 Get a big plate and bring your chicken out of the crock pot. You’ll need to shred it now. 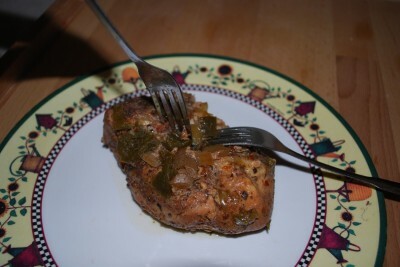 You do that by taking two forks, sticking them in the chicken and pulling the meat apart. It will shred VERY easily. It won’t take much effort at all…..and it’s fun. For some reason I like shredding meat. I like shredding paper too. I guess that’s why we don’t have a paper shredder here. Barry would come home to find me sitting at it playing while the house looked like a tornado attack. It will look like this when you’re done. Isn’t it pretty? 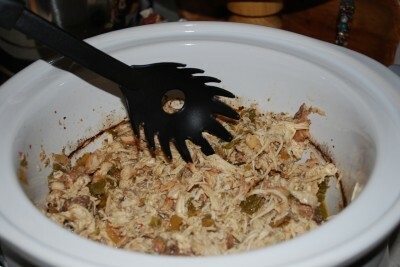 It looks like pulled pork barbecue, but chicken. 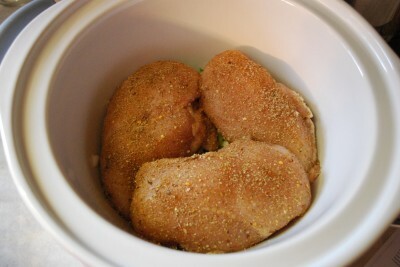 Plop that chicken back in the crock pot with the veggies and juice. Stir it around a bit and let it get all mixed together…….delicious! You need to serve it with a slotted spoon. I used my spaghetti spoon because I thought it would work great- and it did! I’m a total genius. 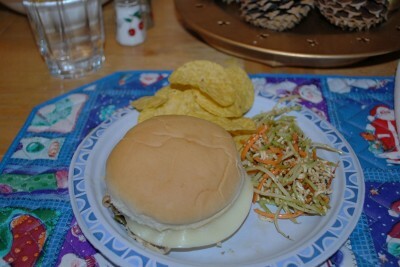 Now, you’re supposed to use hoagie buns for this……but I had hamburger buns, so that’s what we ate. They worked just fine. I plopped some provolone cheese (not in the recipe) on top of the meat and put the sandwiches in the microwave for like 10 seconds to melt the cheese. Oh man. YUMMO! This is a total winner….seriously. You’ll kiss me later. We had chips and Oriental Coleslaw with these……and it paired great together! But, I had tons of meat left over. I served the remaining jerked chicken over white rice and it was very tasty as well. 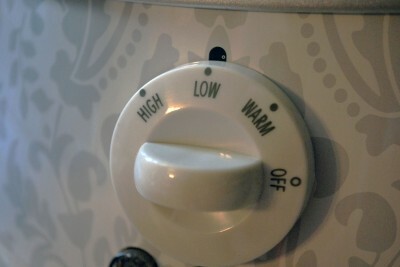 I like being creative……I like leftovers…….I like sock monkeys. 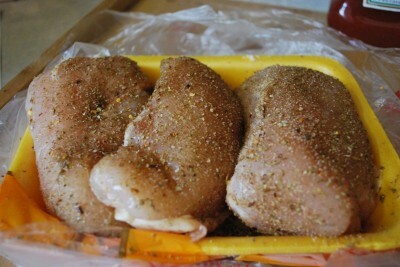 Rub jerk seasoning generously over chicken thighs. 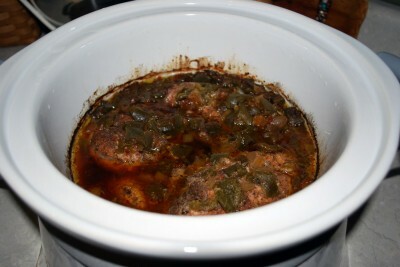 In 3 1/2- to 4-quart slow cooker, mix bell pepper and onion. Place chicken over vegetables. In small bowl, mix broth and ketchup. Pour broth mixture over chicken. 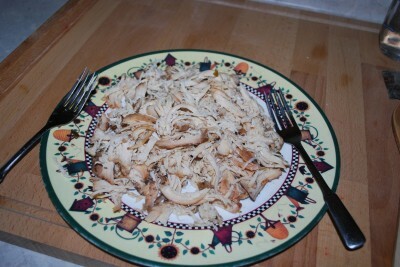 Remove chicken from slow cooker; place on cutting board. 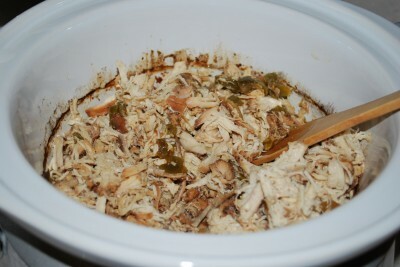 Shred chicken with 2 forks; return to slow cooker, and mix well. 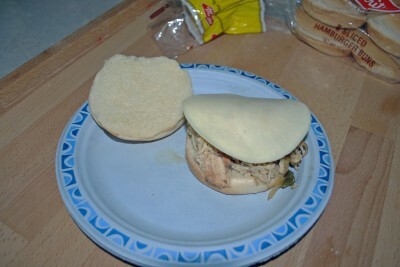 To serve, with slotted spoon, spoon chicken mixture into buns and top with cheese.